Debates about animal models in research are emotional, contentious, and unfortunately, often fraught with demonstrably false “facts.” This is a serious problem. It is impossible to have a thoughtful conversation about the role of science and medical research in society if a position is based on misinformation and inaccurate beliefs. The history of science provides countless examples of the utility of animal research. For example, until as recently as 1940 and the development of the “antibiotic age”, a knee scrape, if it became infected, could be a death sentence. In 1928 Alexander Fleming discovered that when grown in proximity to one another, the mold Penicillim notatum killed the colonies of the often-fatal bacteria Staphylococcus aureus. Unfortunately, Fleming’s test-tube studies failed to show the antimicrobial properties he expected from Penicillin. These results, and the difficulty of isolating Penicillin, ultimately led Fleming to believe that it might only be useful as a topical antiseptic. 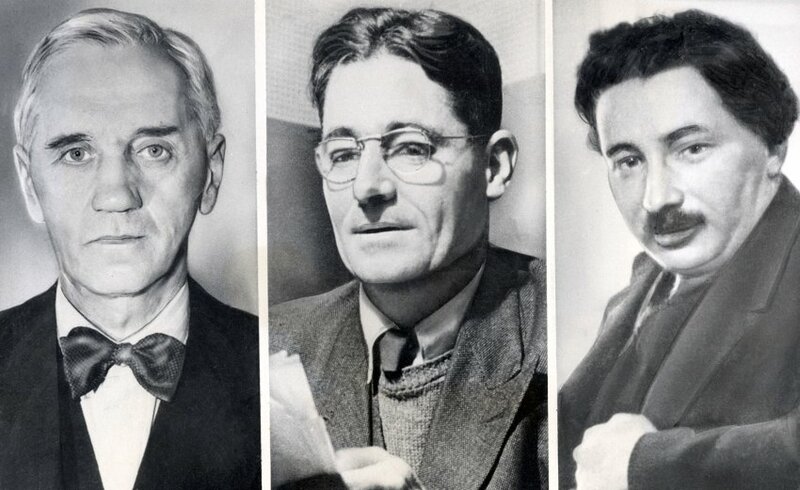 Although Fleming’s work showed some promise, Penicillin was not a high priority for antimicrobial researchers. In addition to being very difficult to isolate, its therapeutic properties seemed to be inactivated in blood — making it a poor candidate for treating systemic infections. But by 1940 enough Penicillin was isolated for testing. In a landmark study Ernst Chain and Howard Florey infected eight mice with a deadly dose of Streptococcus pyogenes. One hour later, four of the mice were injected with Penicillin. These mice survived the infection and changed modern medicine forever. The amount of Penicillin required to treat a human infection is 3,000 times greater than for a mouse. If animal models were unavailable to Chain and Florey, they would have had to undergo the perfectly unreasonable task of isolating huge quantities of a substance that, as far as they could understand, had no therapeutic value. Simply put, without animal models Penicillin would not have been developed. Fortunately, the story of Penicillin is not unique. There are literally thousands of medical interventions, drugs, and procedures whose discovery and development required the use of research animals. Modern therapies that require animal models include: vaccines, organ transplants, cancer treatments, HIV/AIDS drug development, and thousands more. The claim that animal models are “bad science” and fail to provide important insights into biological understanding and therapeutic development is dishonest and wrong. The second position of the animal rights movement is that there are alternatives that are simultaneously more effective and humane. The three most often suggested alternatives are human cell cultures, computer models, and experimentation on human subjects. Tissue and cell culture experiments are extremely powerful research techniques. Their use provides important insights into the function of individual cells and helps identify potential targets for future therapeutics. However, these studies, by their very nature, can only reveal a fraction of the whole picture. For example, a few cells could never describe the complexity of an entire organ — much less the entire organism. Though important for reducing the number of animals used, these techniques could never replace them. Computational techniques are another tremendously valuable tool. With mathematical models and data analysis, computers allow researchers to better understand the systems they study. But again, computation is a supplement to animal research, not a replacement. Every computer model has to be validated against data collected from animal research. There is no other way to ensure that a modeling program is accurate. Furthermore, animal rights activists overestimate the power of computer models. In 2007 researchers were able to simulate a virtual brain of 8,000,000 neurons, roughly the complexity of half a mouse brain. While impressive, this is less than 1/10,000th the number of neurons in a human brain and likely much less complex. The simulation ran on the fastest supercomputer and could only do so for 10 seconds at 1/10th the speed of a real brain. In all, this program required the world’s most powerful supercomputer to model one second of one half a mouse brain. How could a desktop PC possibly predict the behavior of the human brain? The most troubling alternative proposed by animal rights activists is the use of human volunteers for basic science. In practice, such policies would effectively halt biomedical research. For one, the cost of recruiting and paying human subjects would bankrupt already sparse science funding within months. This of course, assumes that enough people volunteer to participate. Considering that clinical researchers already have difficulty in recruiting people for fairly benign studies, it is highly improbable that eight people would volunteer to receive a deadly dose of Streptococcus pyogenes, for example. Beyond the practical limitations of using only human subjects, there are serious questions about the morality of doing so. Which population is likely to accept payment for becoming test subjects: the socioeconomically disadvantaged or the wealthy? The argument that humans ought to replace research animals raises real concerns about the exploitation of disadvantaged communities. It was not long ago that I was sympathetic to some of the positions of the animal rights activists. But, as I learned the science behind biomedical therapeutics, it became clear that because animal models save millions and millions of lives, they are necessary. A powerful research program, which includes the use of animal models, is the responsibility of an ethical society. Posted on April 30, 2015 April 30, 2015 by EditorPosted in Guest Post, News, Outreach NewsTagged animal research, Benjamin Cordy, pro animal testing. it’s one of the most persuasive articles that why animal model is important and not such inhumane as some people claimed. What’s worth to mention is that a new kind of drug screening tech can replace animal models in some researches. It’s a pity the first quote is never given any context. It was reported by a former student of Fleming when discussing the wide range of animal toxicology tests, but it’s unclear from the original source (ATLA) why Fleming says this. Indeed, had the mouse safety test not been used, then Penicillin’s benefits would never have been discovered (It took 10 years after its discovery for it to be used at all). Scientists are unlikely to use an animal with gram-positive flora to test antibiotics (it won’t work on them very well). That said, Hamre showed that if you gave guinea pigs doses of penicillin equal to humans (per kg), it is not toxic – and thus would not have caused penicilin not to be discovered. The reality is that without the role of mice, we wouldn’t have penicillin – a fact you appear to have purposely overlooked in your answer. Hamre, D M, Rake, G, McKee, C M and MacPhillamy, H B (1943) The toxicity of penicillin as prepared for clinical use. Am. J. Med. Sci. 206 642-52. I am going to put the link to this article on my facebook page for all to see and ask that it be shared widely. It is critical that the general public learn more about the importance of animal research. I am proud to see such an articulate, clear and truthful description of the importance of humane, responsible and regulated animal research. I urge students involved in biomedical research across the world to do what Mr. Cordy has done and communicate the importance of our work to the broader public.